I have a table set up called “Staff”, with a Multiple Select field for their department (Sales, Accounts, Design). On another table “Project Number”, I would like to be able to assign a Sales staff to a project number. But I want to limit the list to only people who are part of the Sales team - Link to another record only gives me the full Staff list. What would be the best way to achieve this? You can have a ‘Project Number’ table with links to three different tables for each department, ‘Sales,’ ‘Accounts,’ and ‘Design.’ This would “filter” or “limit” the linkable records in your ‘Project Number’ table by department (each would have a separate column) - but, it would break the functionality of having a single table ‘Staff’ where you could view all staff together and group them by department. (This is likely the best option I can think of at the moment). You could change the setup of your ‘Staff’ table to, in a way, brute-force the filtering when linking Staff members on your ‘Project Number’ table. 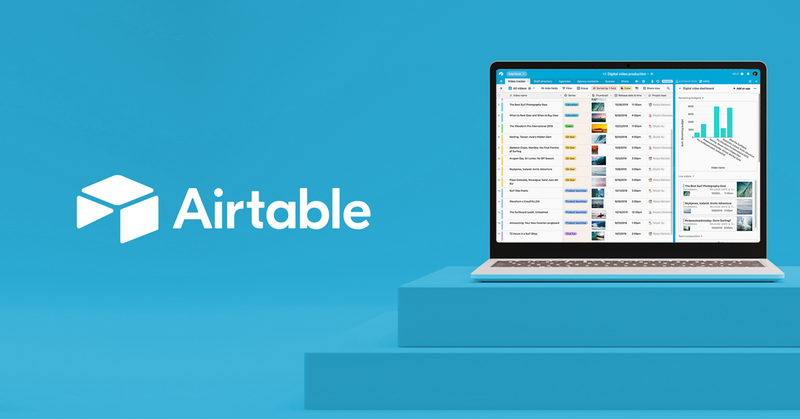 Explore the "Grid" view on Airtable. A third option is to go with option  I listed above, and then link all staff members to a unique Staff List table ID that pulls the info for everyone. But I do not think this way is quite right / ends up doubling work as you would create a record in each department table, and in the Staff List table - so this would not be ideal. Finally, there is no functionality to create a new table when a new department is added. You would need to do this manually if you went that route. With option 2, your system would adapt to new departments. However, given that Airtable does not currently allow filtering of linked records, I think the options are limited. I’d really like this, too. The existing ability to limit record selection to a view is good… But a great extension would be to dynamically set the view. For example, if I select a particular department to “Sales” then my “Staff Member” field would only show records where “Department=Sales”.